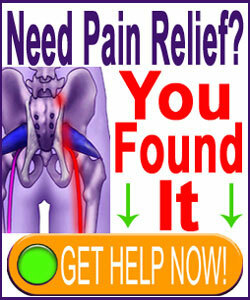 Acute sacroiliac pain can begin abruptly and escalate quickly to intense levels of suffering. Acute pain is defined as flare-ups that occur due to known or unknown circumstances, involving fast-onset and severe symptoms in and around the SI joint. The worst of these clinical presentations can debilitate patients, forcing them into bed to wait out the pain. Acute symptoms can be terrifying and create significant functional disability. Many patients can not perform physically to any useful degree, while others can not even stand up. A minority of patients experience feelings that their leg is going to “give out” at or near the hip joint, which can further frighten victims of acute SIJ pain. This dissertation examines the incidence, causes and symptoms of acute sacroiliac pain syndromes. We will provide reassurance for patients who are currently suffering and information for those who are still trying to navigate the often confusing diagnostic and treatment sectors. Acute onset sacroiliac symptoms begin with pain. This pain is often sharp upon particular types of movement or weight-bearing, while it dulls as the joint is relaxed and rested. The patients might suffer particular exacerbation of pain when using stairs or when transitioning between seated and standing or between reclining and seated positions. Sacroiliac pain is likely to be focused in the immediate area of the SI joint, but might feel as if it is originating in the hip or lower back. Some patients have radiating pain that stretches throughout the region, possibly encompassing the buttocks, legs, groin or pelvis. 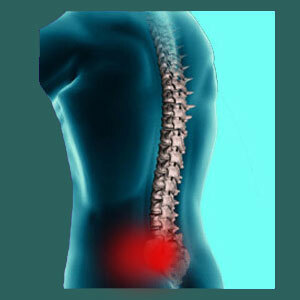 Other neurological symptoms might also be present, including tingling or numbness in and around the SI joint. Weakness is a common result of severe pain, but does not always indicate neurological dysfunction, as is the case with many traditional back pain syndromes. Acute flare-ups of pain can occur due to particular circumstances or may be idiopathic. Many patients report that they woke up with terrible pain in the morning, which was not present the night before. Other patients develop pain during their day, at work or at home, without any justifiable provocation. Other patients might feel that the reason for the acute escalation of pain resides in a specific causative scenario and in most instances, they are right. However, it is important to understand that some seemingly causative mechanisms might be innocent and simply act as triggers for mindbody-related pain to commence. This is a commonly seen phenomenon in the greater dorsalgia treatment sector. This is most often illustrated by patients who develop horrific pain after performing common and innocuous acts like opening a window, stumbling but not falling, or doing basic housework or gardening. Some of the more common direct causative scenarios for acute sacroiliac pain include: falls, sports injuries, acts of violence, automobile collisions, work-related injuries and other calamities. Acute pain is a real burden while it endures. It can prevent normal living and might completely dispose the patient towards bedrest until the worst of the episode passes. For patients with recurrent episodic acute pain, life can become very unpredictable and these people often have difficulty holding down jobs, seeing to family responsibilities or completing long-term goals, such as schooling. The short-term solution for acute pain in the SI joint is to rest and wait it out. Conservative and constructive symptomatic pain management methods are best, such as massage, heat, ice, acupuncture, chiropractic and other non-pharmacological approaches to care. When it becomes possible to seek medical attention, patients are strongly advised to focus on the diagnostic process and be certain that they can achieve accurate results before seeking any type of treatment. One of the best ways to ensure proper diagnostic evaluation is to seek out more than one opinion from more than one type of care provider. This way, patients increase their chances for correct diagnostic processing, which is the very first inherent step in any type of successful treatment.